BF-Tree: Approximate Tree Indexing on VLDB 2014. Indexing on SSDs also adopt B+ trees and focus on addressing the slow writes on flash and the limited device lifetime. However, random read in SSDs are only 1/2 to 1/3 worse than sequential read. 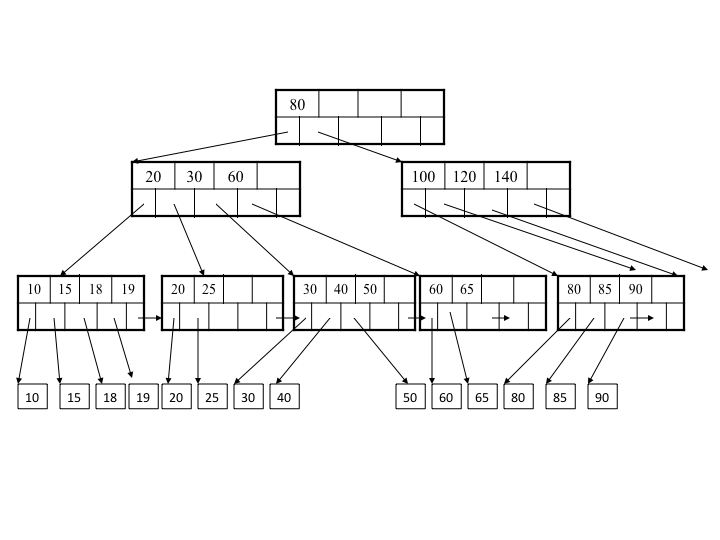 This paper propose to employs probabilistic data structures (Bloom filters) to trade accuracy for size and produce smaller, yet powerful, tree indexes – BF-Trees. Each leaf node corresponds to a page range (min_pid – max_pid) and to a key range (min_key – max_key), and it consists of a number, S, of BFs , each of which stores the key membership for each page of the range (or a group of consecutive pages). Compared to the B+ tree, which consists of large leafs, BF-Trees is a more compact data structure. A Bloom filter is a space-efficient probabilistic data structure, conceived by Burton Howard Bloom in 1970, that is used to test whether an element is a member of a set. So, why bloom filter is good for data index? This gives the evidence that Correlated Data can be co-located.